Revoice Pro 4 uses a license that can be activated in iLok Cloud or installed on a 2nd or 3rd generation iLok USB Key. Note that this code is NOT a licence but an Activation Code that you must redeem in the iLok License Manager (available from iLok.com ) to obtain your licence. For step by step instructions - click Here to go to Authorization chapter in the Revoice Pro 4 Help document and/or go to www.iLok.com. 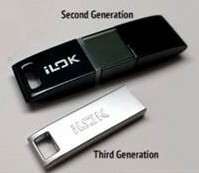 For more information on iLok Cloud activation, please see our iLok Cloud FAQ.